NESTER REALTY-4 offices to serve you! 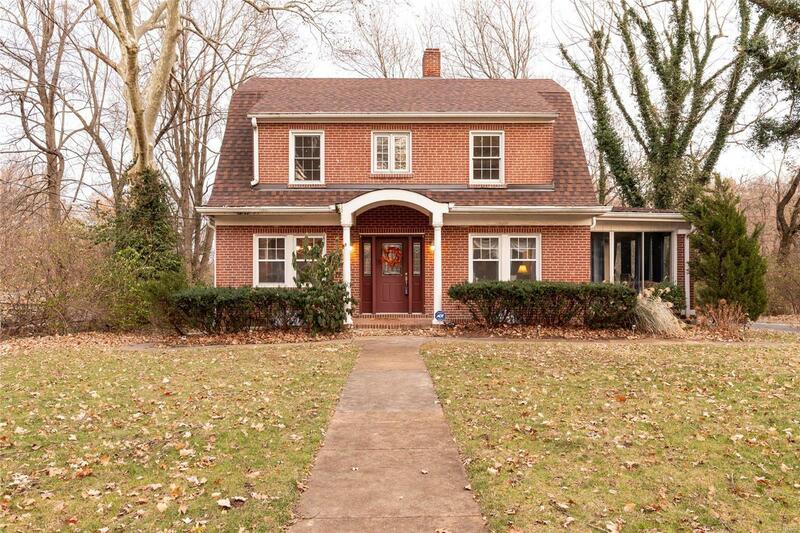 Beautiful brick home on large level lot with mature trees in established Signal Hill Neighborhood. Enter into the foyer area boasting a traditional floor plan with formal dining room on left and large living room on right with original hardwood floors and original millwork. Living room has built-in bookcases, wood burning fireplace, arched doorway and double French doors leading to an all glass sunroom. Sunroom opens to back porch. Eat-in kitchen leads to back family room, full bath/laundry. Upper level has 3 large bedrooms with ample closet space. Updates include New Roof 2018, New Furnace 2017, All new water lines in basement replaced with PVC in past 2 years. Home has both radiator and gas furnace heat. Upper level is cooled with window units. Sunroom is not included in square footage. Home is Occupancy Code compliant. Copyright 2019, Mid America Regional Information Systems, Inc.(MARIS). All rights reserved. Nester Realty does not display the entire IDX database of Mid America Regional Information Systems, Inc. (MARIS MLS) on this web site. Property listings of some REALTORS ® brokerage firms have been excluded. Listings displaying the MARIS logo are courtesy of the participants of Mid America Regional Information Systems Internet Data Exchange. Information provided deemed to be reliable but is not guaranteed to be accurate. Buyers are advised to verify all facts before making a decision on purchasing a property. No warranties, expressed or implied, are provided for the data herein, or for their use or interpretation by the user. Mid America Regional information Systems, Inc. (MARIS) will not be held responsibility for the content of such records. Last Updated On: 2018-05-22.